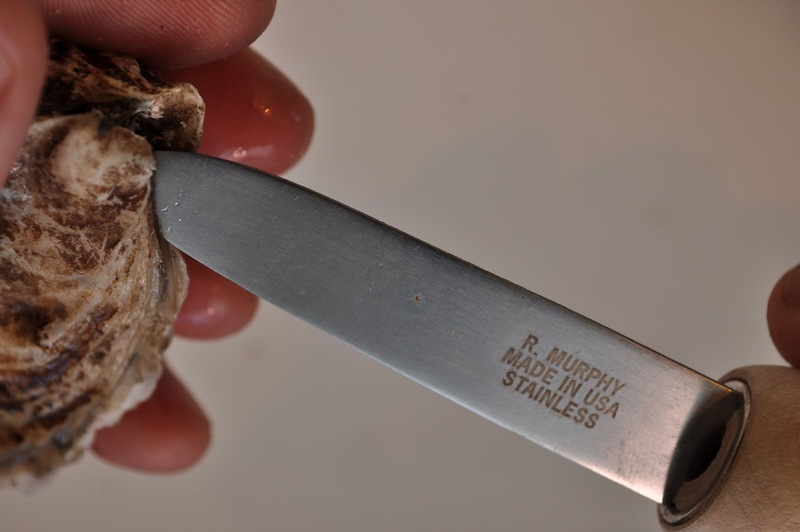 If you're new to shucking oysters, or have shucked thousands of them, you should consider purchasing a knife from a Massachusetts company that manufactures several types of knives, R. Murphy Knives. R.Murphy Knives makes a high-quality product, and has several options for shuckers of all levels of experience. We tested out the New Haven model, a sleek yet strong stainless blade. The New Haven knife can be ordered with a wooden handle or green polyproylene. 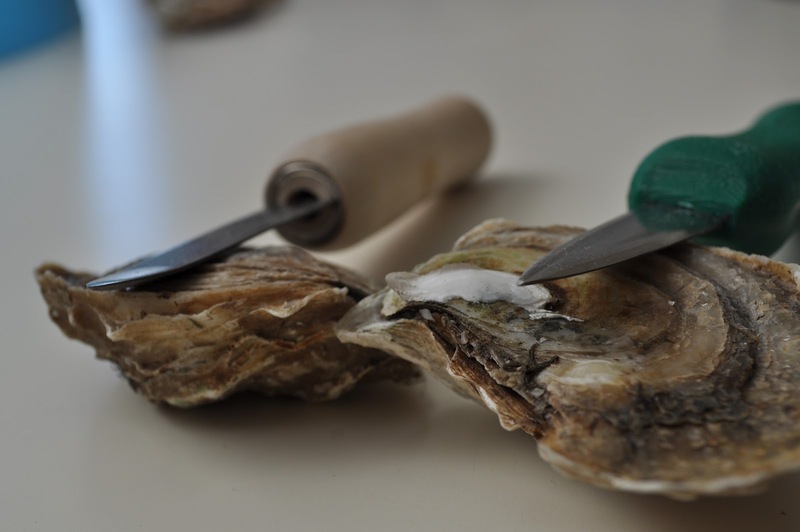 We opened a half dozen Duxbury oysters with these traditional model knives. It was no surprise to learn that Cooks Illustrated Magazine voted this knife as best oyster knife out of six models tested. 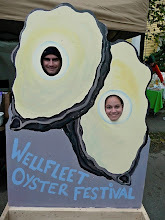 The knives were easy to handle with a comfortable grip, and the blade was strong and just sharp enough to open the oysters easily. These knives were definitely a favorite among the new and experienced shuckers who tried them with us. R Murphy also offers custom labeling of their knives. Individuals, farms, restaurants or other businesses can add a custom label to the product. R Murphy is located in Ayer, Massachusetts and was established in 1850. They have a large selection of all types of knives, including chefs' knives, oyster knives, knives for seafood and many other categories. Take some time to peruse their website! We loved the New Haven oyster knife and definitely recommend it, and look forward to checking out some of their other models in the future.